My tiny balcony, in honor of the first day of summer! I love hot, hot heat, which is one of the many reasons I love summer. Summer came in with a bang today here in Maryland, at a therapeutic 96 degrees. Whether you love heat or not, having a beautiful outdoor space is a great way to spend more time outside. A great way to make it more inviting is through items you'd usually only use indoors, such as pillows, curtains, and rugs. My little balcony is nothing too special, at only 13 x 5 ft, and with some cheap plastic furnishing. However, we have dressed it up with some handmade flower boxes containing geraniums and sweet potato vines, and several succulents. 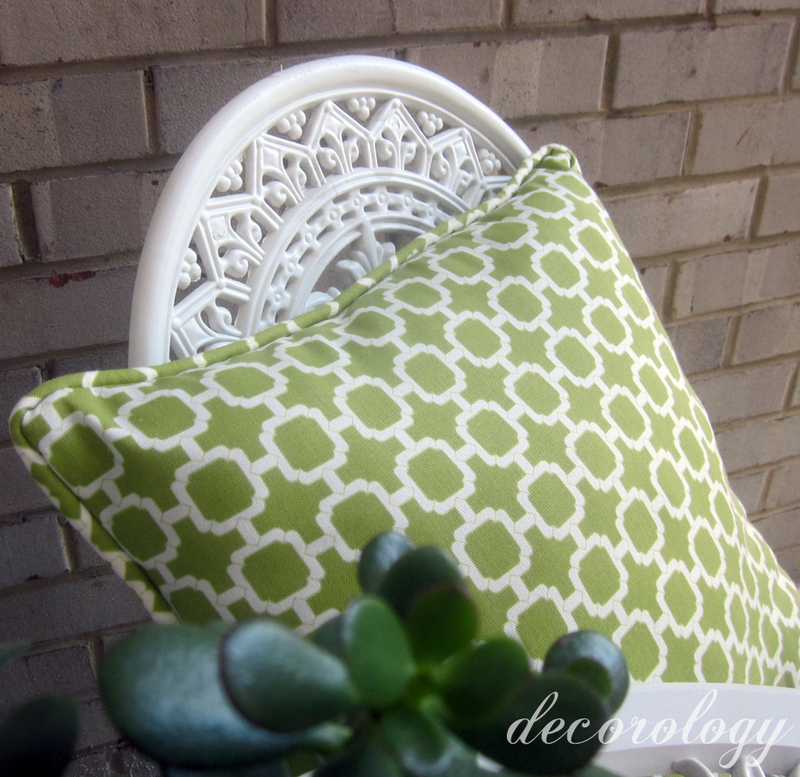 I was also lucky enough to receive a pair of gorgeous indoor/outdoor pillows to review. 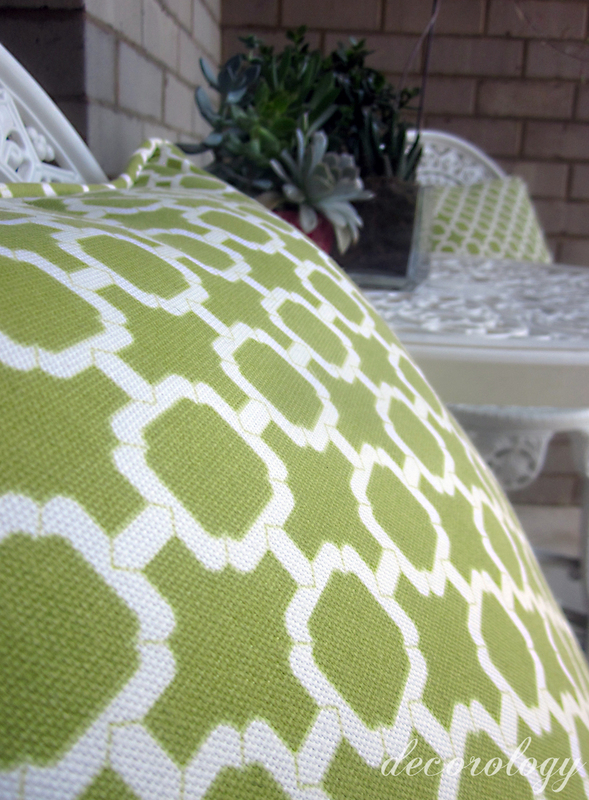 The pillows are from Pillow Perfect, and I was pleasantly surprised at how comfortable the outdoor fabric was. I was expecting it to be stiff and rough, but you can't tell that they are any different than indoor pillows. This set are the pillows I have. 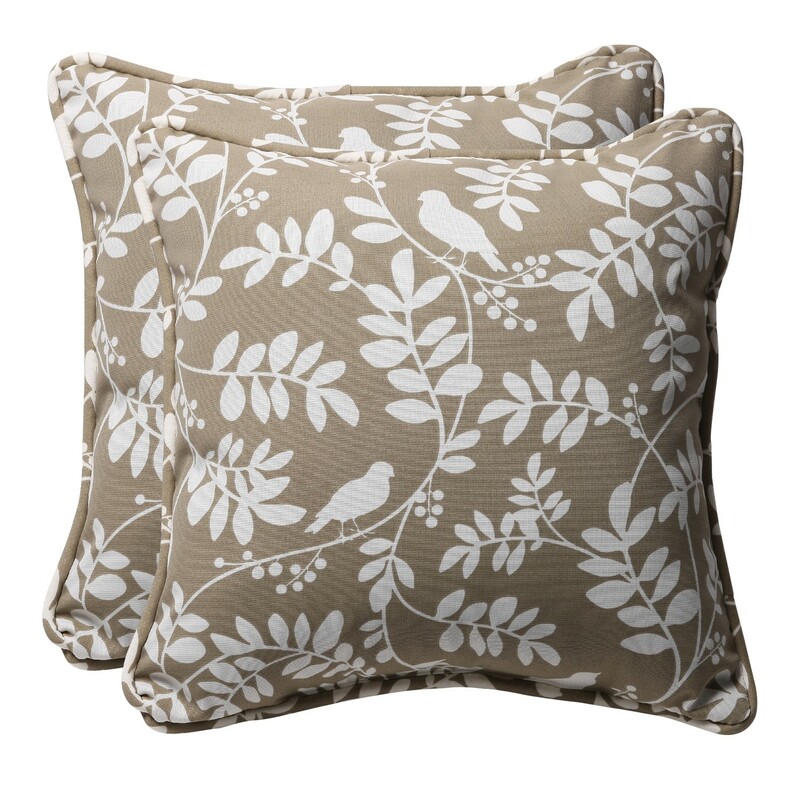 The colors of the photograph above, which is from the Pillow Perfect website, are much more accurate than my photos. 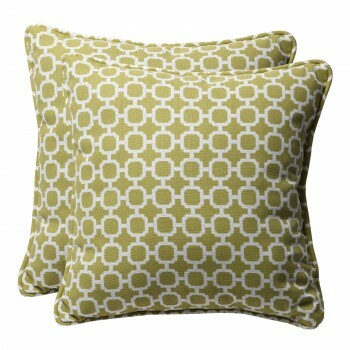 I am in dire need of a new camera, as mine makes the pillows look more green than they really are. 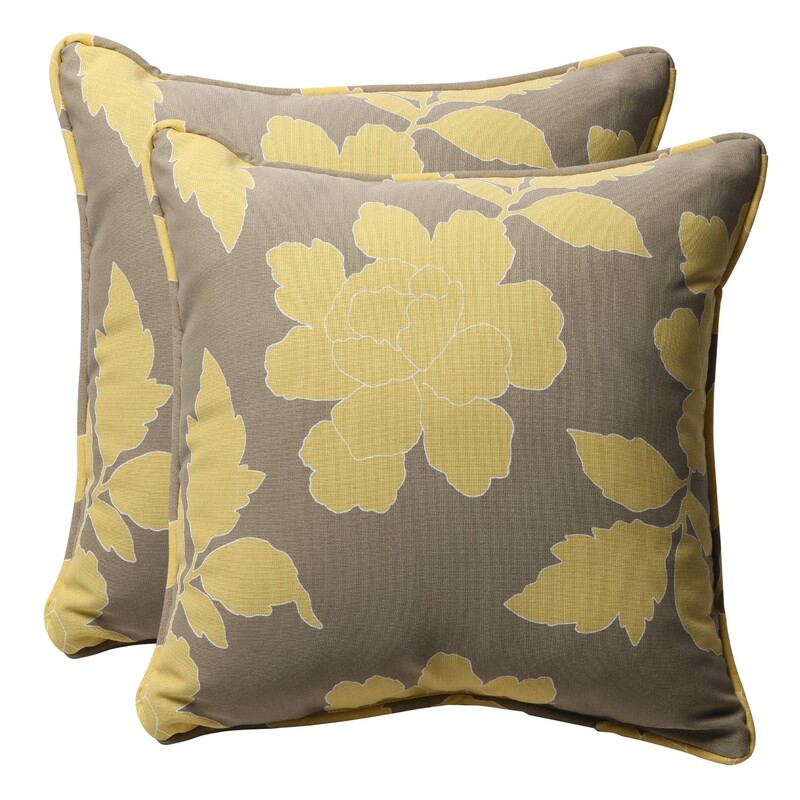 Other than INCREDIBLE prices, Pillow Perfect offers pillows and cushions in some of the best, on-trend designer fabrics, such as Thomas Paul. 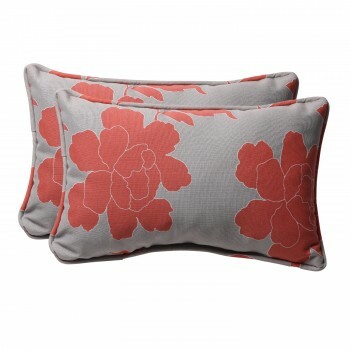 If your outdoor space is in need of some beautifying, Pillow Perfect has a great selection as really good prices. 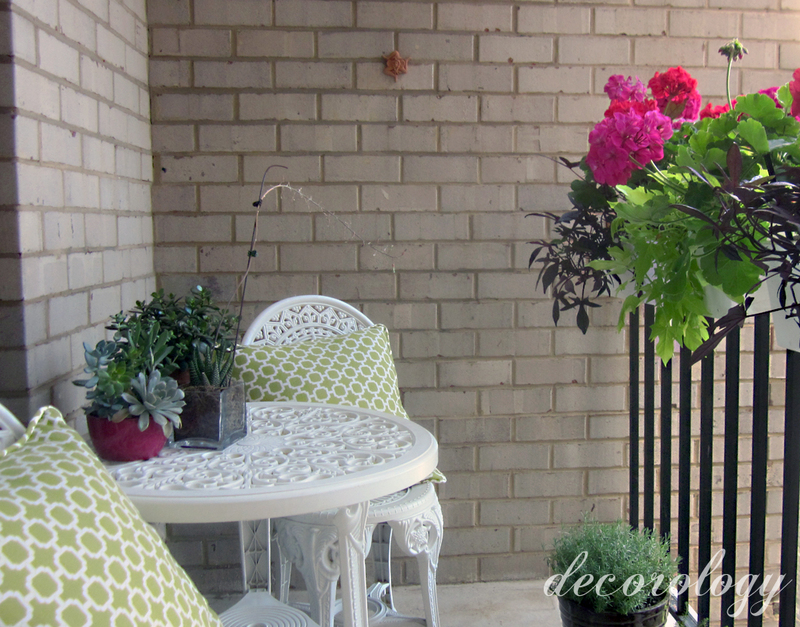 How have you made your outdoor space a beautiful, comfortable extension of your home?